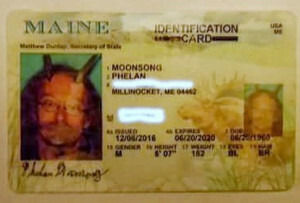 The state of Maine ultimately allowed Millinocket resident Phelan Moonsong to wear a pair of goat horns in his license photo. Moonsung said he was "elated" when his ID arrived. 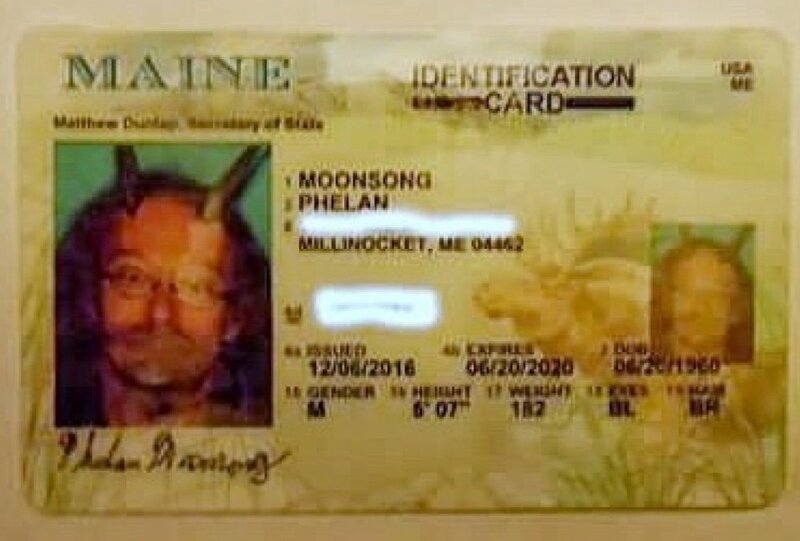 The state of Maine ultimately allowed Millinocket resident Phelan Moonsong to wear a pair of goat horns in his license photo. Moonsung said he was “elated” when his ID arrived.